It’s been a while since I updated the page here listing the top 10 most frequently viewed blog posts, so I made those updates today. You’ll find the current top 10 here. What surprises me is that with absolutely no promotion of any kind since September 2013, the #1 post continues to be about my first week wearing a Fitbit Flex way back then. Others also seem to have a life of their own. Check out the list (also linked at the top of the blog) and see if you’ve read these 10 posts. A lot of your fellow readers have done so. 1. My First Week With a Fitbit Flex – This was published a year ago and consistently has received more views monthly than any other for a long while. I was approached about placing advertising on the page because of the hits, but I don’t want ads on my blog, so I turned it down. I still wear the Flex faithfully. Doing so has transformed my daily activity, nutrition and sleep monitoring. 2. Throw a Plate On the Ground – This is a short, simple post about the lasting impact of hurting others. 3. The Worst Mistakes I’ve Made As An Employee – People always like to read about the faults of others. Perhaps some can learn from what I’ve done poorly. 4. What I Appreciate Most in Coworkers – It’s nice to find good in others and call it out. I’ve had some wonderful people to enjoy working with through the years and I appreciate them so much. 5. When Does Busy Become Too Busy? – I hope someday to actually learn this lesson that I keep preaching about. 6. Trust – This is an oldie from 2011. It’s hard to believe it still gets views. Trust is always relevant, though. 7. Lessons From My First Daddy-Doggie Date Day – The relationship I have with my dog, Callie, is different than I’ve ever had with a dog in 57 years of living. Every day is special with her, but this was a day set aside especially for her. 8. Book Review: “I Am a Church member” by Thom Rainer – Thom Rainer was a seminary colleague of mine at The Southern Baptist Theological Seminary in the 1980s. My wife typed up his PhD dissertation on our original 30-pound IBM “Portable” PC. He is now president and CEO of Lifeway Christian Resources and does amazing work. This is a great little book that serves as a good reminder to church members about what we are (and are not) to be about as church members. 9. Deciding When to Leave Your Job – A few things that guide my thoughts during times of significant work transition. 10. Rethink Routine – This is one of five corporate values espoused by my employer – a very worthy value for corporations and individuals. Many thanks to all the readers of this blog. I love hearing your comments and encourage you to add them to any and all posts of interest. Thanks for letting me share my personal and professional life with you in this way. This blog turned three years old last month. After 583 posts, it’s interesting (at least to me) to see which posts have had the most views. 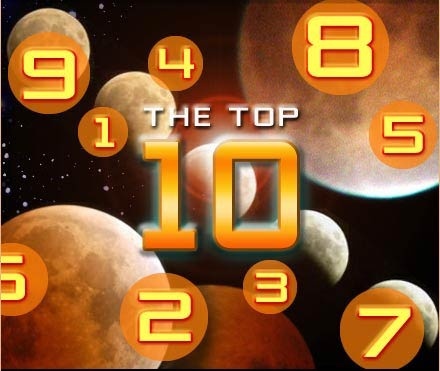 Here are the top 10 since the blog’s inception in April, 2011. The list is current as of May 2, 2014. Thanks to all of you for your interest in these and other posts. 5. When Does Busy Become Too Busy?